A new report shows that, in more than half of U.S. states, stunningly, statewide officials have been trying to rig the economy further against working families by pursuing lawsuits that would lower workers’ pay, reduce health care coverage, and increase the number of state residents with mercury poisoning. Pennsylvania has not been party to these attacks on working families. That’s thanks in part to Governor Tom Wolf and Attorney General Josh Shapiro…and could change if they were not in office. Cutting workers’ pay: Twenty-one states, led by Nevada Attorney General Adam Laxalt (now running for governor) brought suit to block an attempt by President Obama to give 12.5 million salaried workers across the country making less than $47,476 overtime pay if they worked more than 40 hours (four other states, led by Missouri Attorney General Josh Hawley, now running for governor, later joined the suit). The suit led a Texas court to overturn the new Obama overtime rule in a highly-questionable ruling. 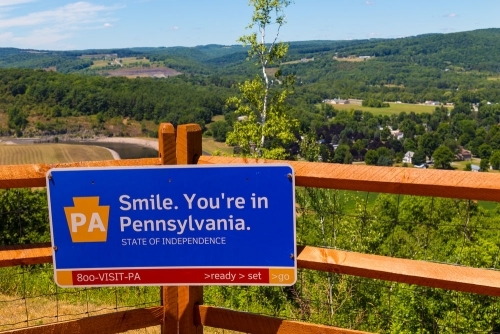 PA did not join the suit: even better, Governor Wolf stepped up raise PA workers’ pay by restoring overtime pay and the 40-hour week for hard-working and underappreciated managers and other salaried workers. Eliminating health care coverage and protections for people with pre-existing conditions: Prior to the Affordable Care Act (ACA), insurance companies frequently discriminated against people with pre-existing conditions by denying them coverage or charging them outrageous prices. The ACA prohibited discrimination against people with pre-existing conditions. Since its passage, the ACA has been under unrelenting attack from conservative opponents. Although efforts to totally repeal the ACA have failed, Congress did raise premiums and reduce coverage through the 2018 Tax Cuts and Jobs Act (TCJA). And now 20 states are trying to accomplish through the courts what conservatives could not accomplish through the legislative process. The lawsuit has no legal merit but the Trump administration has taken the position that the ACA’s protections for people with pre-existing conditions must be struck down. If this suit wins, the ACA’s protections for people with pre-existing conditions would be eliminated, as would other popular provisions, such as the Medicaid expansion implement in Pennsylvania under Governor Wolf. Poisoning the air: Under President Obama, a new rule limited power plants’ release of mercury into the air, leading to 11,000 fewer deaths per year according to the EPA, as well as 130,000 fewer asthma attacks and $90 billion in health benefits. In 2016, 15 states brought a suit to overturn the rule, led by Michigan Attorney General Bill Schuette, who is now running for governor (and perhaps wants Michigan’s air quality to match it’s water quality). This led the Trump administration to reconsider the standards. In these challenging times, Pennsylvanians and Americans need to understand who is for an economy rigged less against working families...and for raising Pennsylvanians’ pay, giving them access to health care, and protecting their health.